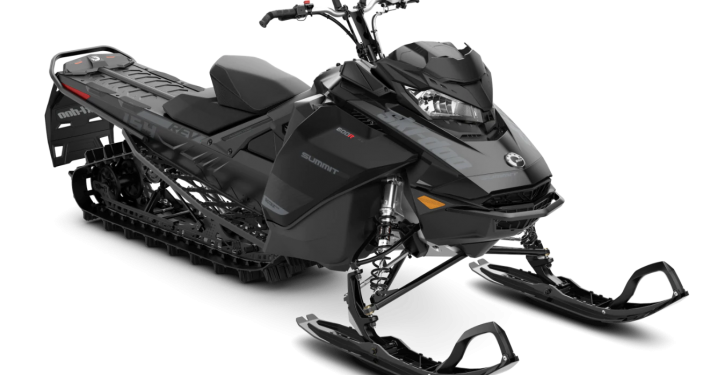 Our 2020 single seat high performance snowmobiles are ideal for intermediate to advanced mountain riders. 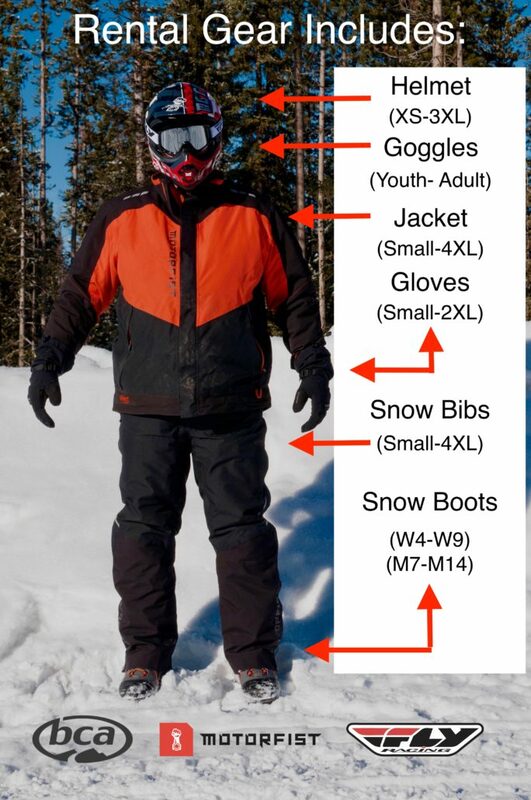 High Performance snowmobiles are designed to give you the best access to off trail terrain. 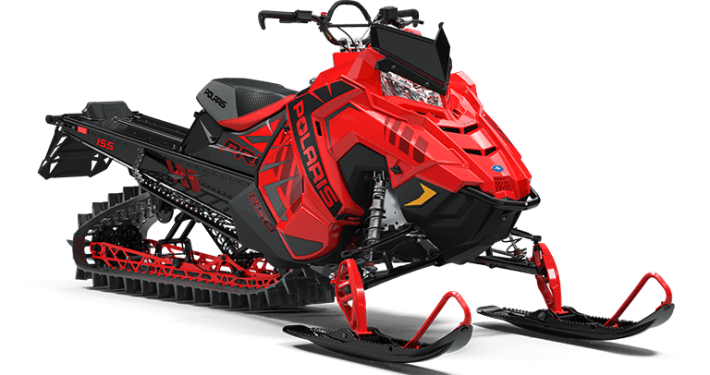 Our lineup includes three premium mountain sleds from Polaris and Ski Doo. The lightweight Polaris Axys PRO 850 155 with a 2.6″ lug will allow you to dominate the mountain. The 850 Ski Doo 154 with a 2.5″ lug offers a new forward riding position and the ease of the tMotion suspension will help your mountain riding reach new heights. Available in either our Jackson or Alpine location. From our experience we suggest drivers be at least 16 to ride by themselves. 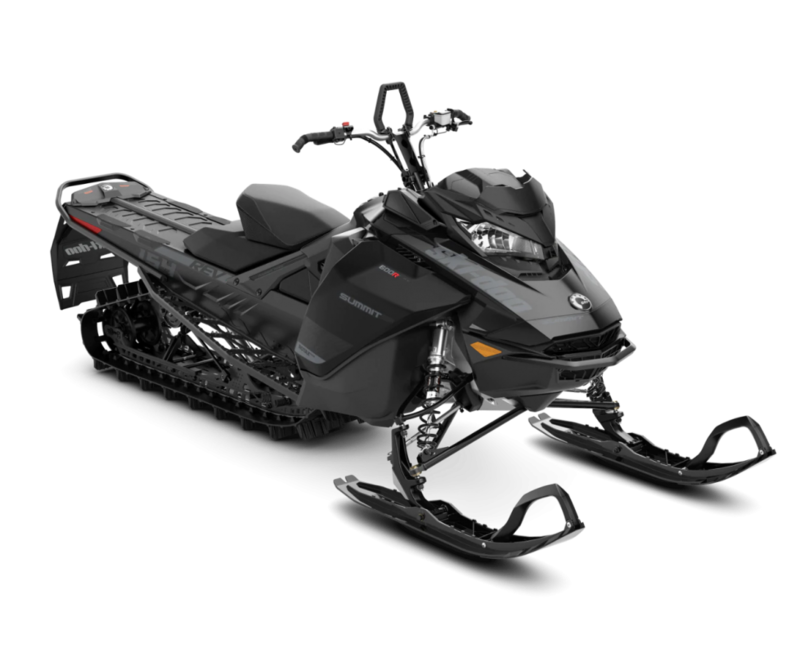 Our crossover/performance/high performance sleds are designed to be ridden by one rider only. If you are looking for a double seat machine you will need a touring sled. Out of our Jackson location you are required to tow the snow machines to a trail-head. If you do not have a vehicle that can tow we can provide one for you for $50+tax per day. Our tow vehicles are used for single day rentals only. If you plan on a multiple day rental we offer both Mid-Size and Large SUVs for towing. You must be 21 or older in order to rent a tow vehicle. If you are an international guest or do not have full coverage car insurance we offer an optional $24 per day $1,000.00 deductible damage waiver on the tow vehicle. Our Tow vehicles can tow from 1 snow machine up to 6 snow machines. The National Forest provides the most access with the least amount of restrictions for self-guided snow machine rentals. For our rentals out of Jackson and Alpine our trail-heads are located inside of the Bridger-Teton National Forest system. At both locations we provide detailed maps and directions based on your preferred riding area. Our Jackson Hole location offers great access to both the Granite Hot Springs trail system and the extensive trail network at Togwotee. Out of our Jackson location you are required to tow the snow machines to the trail systems. Our shop is located on the south side of town in Jackson Hole between the Albertsons and Smiths grocery stores. The Granite Hot Springs trail system is located 22 miles South of our shop. Togwotee is located 50 miles North of our shop. We offer only full day rentals out of our Jackson location. Our shop in Alpine Wyoming is located a mile away from the Grey’s River Trail system inside the Bridger Teton National Forest. You can ride directly out of our shop onto the trail system. We offer both 1/2 and full day options out of this location due to the shop being so close to the trail head. This is a great option for those that would prefer not to trailer, load, or unload the the snow machines. Alpine is located 35 miles south of Jackson with a beautiful drive through the Snake River Canyon. Both locations offer a wide variety of skill level ridding. From beginner to experienced mountain riding our customer service agents can point you in the right direction. 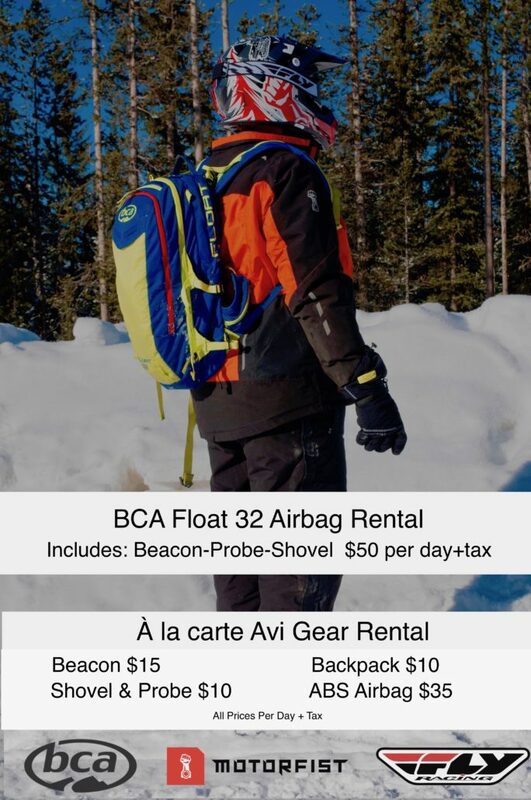 What Backcountry Gear Do you Rent?